The bake service is not actually a simulator change. It is a change in a backend service. The server and service have to work together. So, there is probably some simulator change. But, maybe just in which API it uses to bake the avatar. Posted in Firestorm, Second Life, Server, SLV2, 3, 4, 5, & 6 Series, Viewers. Tagged cache, Camera, Inventory, LOD. Second Life: Do you see SL in comfort? Kate Amdahl has posted an article titled: A Better Way to See in Second Life. 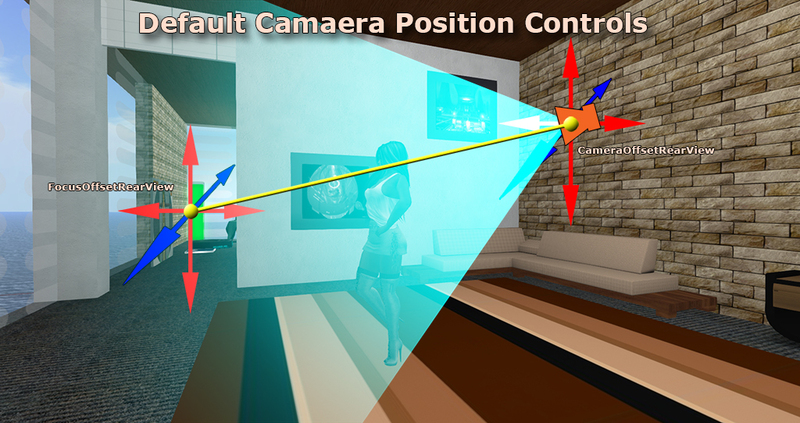 It is inspired by Penny Patton’s articles on Scale and camera positions: The Improved SL Camera. Posted in Firestorm, Problem-Fix, Second Life, SLV2, 3, 4, 5, & 6 Series, Viewers. Tagged Camera, Scale in SL, Viewer Tutorial. Some time ago I found a camera control Debug Setting I now change in all my viewers. I’ve mentioned it in several of my viewer reviews. Recently I read an article by Penny Patton and learned some more about changing the camera position and view. That inspired me to take another look at camera settings in the Series 2 viewers. Here is what I’ve learned and what may make your SL experience better. Above is an image that shows my default view when shopping. You might notice I’m not staring at the floor. I did not have to cam around to get the view. I can press ESC a couple of times and come back to this camera position at any time. This shopping area is in a region named Diesel and an area named The Island of Milk & Cream. It is an Adult area. Knowing that the idea of Milk & Cream takes on new meaning. The creativity and skill of the builder, Penny Patton, is obvious. So, is the humor. Notice the ad for It Figures, shapes for the top heavy. Posted in Second Life, Tips, Viewers. Tagged Camera.